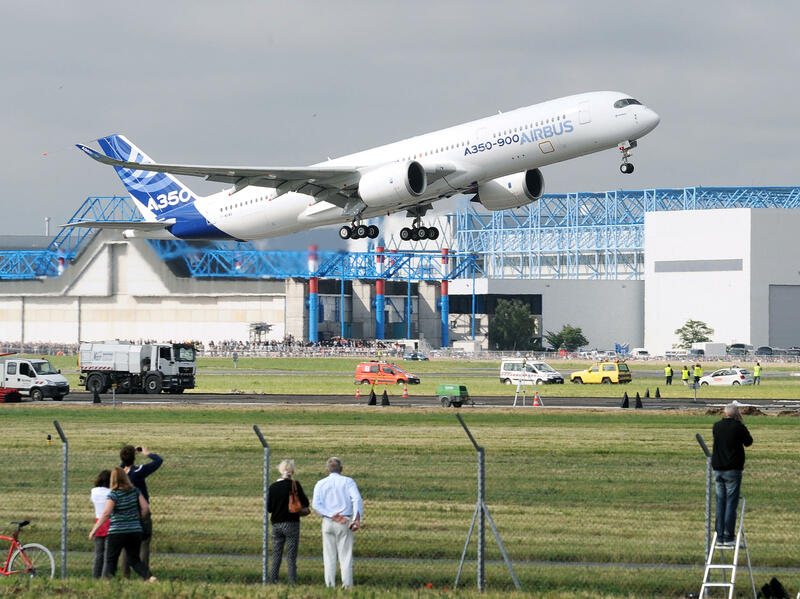 An Airbus A350-900 takes off from an airport in Toulouse, France, on its maiden flight. Japan Airlines reportedly has ordered 18 A350-900s and 13 A350-1000s. Japan Airlines is buying $9.5 billion worth of new jetliners from Airbus, placing its first-ever order with the European plane-maker for 31 A350s to replace the carrier's aging fleet of Boeing 777s. The airline's president, Yoshiharu Ueki, said the order was unrelated to Boeing's problems with the 787, but the huge order is seen as a major coup for the Toulouse, France-based manufacturer at the expense of its American rival. Both Japan Airlines and All Nippon Airways are flying 787s, which experienced numerous development delays and were grounded worldwide after a fire on the tarmac and other problems. "We are sorry for the troubles we have caused our customers with the 787, but the decision on the aircraft was considered separately from that issue," Ueki told reporters. Ueki said the A350 was chosen because it was the "best match for our needs." The Malaysian Star says Japan Airlines wants 18 A350-900s and 13 A350-1000s. Although the order is valued at $9.5 billion at list prices, airlines typically negotiate deep discounts for such large purchases. The order includes an option to buy 25 more aircraft. With their use of composite materials and advanced titanium and aluminum alloys that result in significant fuel efficiencies and a capacity of 250-350 passengers, the A350-900s and A350-1000s being bought by Japan Airlines are seen as Airbus' answer to the 787, Business Insider wrote in June. We reported last month on Airbus' latest 20-year forecast for the aircraft market, which predicted that the Asia-Pacific region would emerge for the first time as the biggest buyer of new planes. 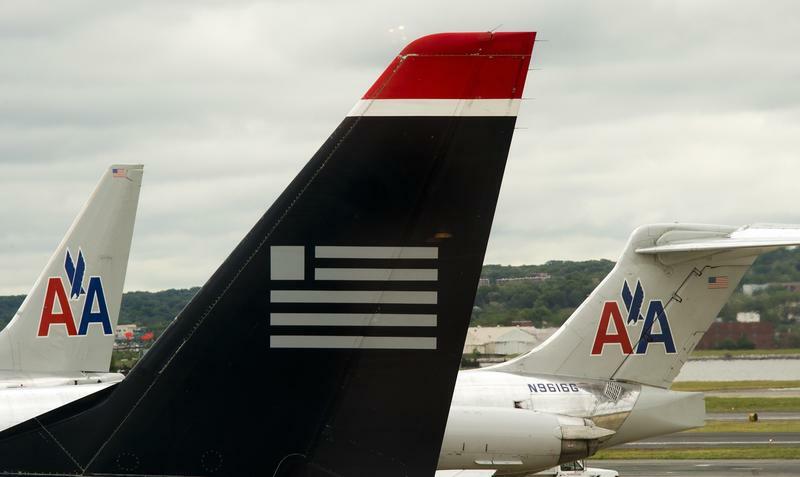 A merger of American Airlines and US Airways would violate U.S. antitrust law, the Justice Department, six state attorneys general and the District of Columbia allege in a lawsuit filed Tuesday in Washington, D.C.